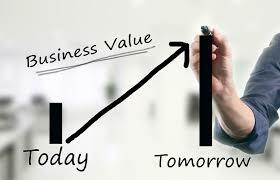 Business Valuation Australia Wide - 30 years experience. Business valuation is the procedure of utilising the valuers knowledge and experience to arrive at the best method to determine the value of an owner's interest in their business. The same valuation tools are often used by business valuers to resolve disputes. These disputes can be related to estate and gift taxation, divorce litigation, or allocate business purchase price among business assets. They can also establish a formula for estimating the value of partners' ownership interest for buy-sell agreements, and many other business and legal purposes. 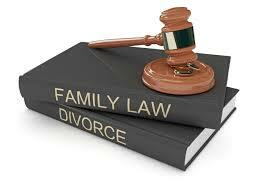 With Family Law many business valuations are prepared on a single expert witness basis. This reduces the overall cost to the parties as well as reduces the time in court. There are several factors to be taken into consideration by business valuers when conducting family law valuations and for this reason valuation approaches vary greatly depending on the type of business being valued. 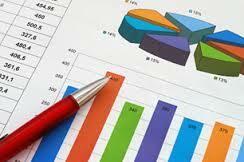 Business Reports and Values delivers independent valuations for a variety of purposes. Our valuation work is very varied and includes reports needed to comply with accounting or regulatory standards and for tax, litigation, family or commercial purposes. In our experience, a valuation is often needed at a difficult or stressful time. This may be a shareholder dispute, a potential sale, the breakdown of a relationship or simply the year-end audit process. We deliver valuations in a timely and cost-effective way. We provide a valuation service that gives our clients confidence they have the full picture. There are no situations that we have not encountered before. You can be sure we understand what is required and what is at stake. We use commonly accepted valuation methods with a critical part of the process being corroboration of results derived from one method against those derived from another. The end goal is to produce a highly robust valuation that stands up to external scrutiny. Why Have a Business Valuation? Why do people get their business valued? It might be that the owner (or owners) of the business are considering selling some or all of their shares within the business, or that a buyer is looking at purchasing a business and that the purchaser needs to know what the business is worth “on paper” before making an offer. It might be on the death of an owner, or for drawing up a will, divorce or it might just be because the owner of the business wants to know what he or she is worth. There can be any number of reasons for wanting to know the value of a company or business. An asset-based approach is a type of business valuation that focuses on a company's net asset value (NAV), or the fair-market value (FMV), of its total assets minus its total liabilities to determine what it would cost to re-create the business. There is some room for interpretation in terms of deciding which of the company's assets and liabilities to include in the valuation and how to measure the worth of each. The other two main approaches used for valuing businesses are the market approach, which looks at what similar businesses are worth, and the income approach, which estimates how much money the business might generate in the future. The real value of assets in an asset-based approach for valuing a business may be much greater than simply adding up the recorded assets. For example, a company’s balance sheet may not include major assets, such as internally developed products and proprietary methods of conducting business. If the company’s owner did not pay for the assets, they did not get recorded on the cost basis balance sheet. In addition, many businesses have special products or services that make them unique. Pricing those offerings as part of selling a business may be difficult due to their intangible value. Business Reports and Values have many years’ experience of valuing intangible assets. The asset-based approach begins by creating a financial picture of the company through information on the balance sheet. Current asset values may differ dramatically from the assets’ acquisition costs. Although the balance sheet lists assets and liabilities at historical cost, accurately using this method depends on recasting those costs and capturing the current value. In contrast, liabilities are typically already stated at fair market value. In most cases, no additional calculations are needed. The fair market values of the assets are added up and the total liabilities are subtracted from the total. The difference is the estimated value of the business. Market value approaches to business valuation attempt to establish the value of a business by comparing your business to similar businesses that have recently sold. Obviously, this method is only going to work well if there are a sufficient number of similar businesses to compare. The separate assessment of surplus or unrelated assets and liabilities, being those items, which are not essential to producing the estimated future earnings. The Discounted Cash Flow Method is an income-based approach to valuation that is based upon the theory that the value of a business is equal to the present value of its projected future benefits (including the present value of its terminal value). The terminal value does not assume the actual termination or liquidation of the business, but rather represents the point in time when the projected cash flows level off or flatten (which is assumed to continue into perpetuity). The amounts for the projected cash flows and the terminal value are discounted to the valuation date using an appropriate discount rate, which encompasses the risks specific to investing in the specific company being valued. Inherent in this method is the incorporation or development of projections of the future operating results of the company being valued. Contact us for your valuation needs.